Broerman & Sons Heating & Air Conditioning is proud to serve the Darmstadt community! 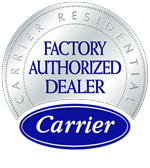 About Darmstadt, IN - Happy to be your hometown Heating & Air Conditioning Contractor! Darmstadt, Indiana is situated in the southwestern portion of the state. The small town, located in Scott Township, Vanderburgh County, has a population of about 1,400 residents according to the 2010 United States census. The German-heritage town also reaches slightly into Armstrong, Center, and German townships. The town is situated north of Evansville and is the only other incorporated municipality in Vanderburgh County other than Evansville. Darmstadt is a town that continues to flourish despite its small size. The town is home to many businesses that continue to serve well the residents of the community. The Vanderburgh County 4H Center is located in Darmstadt and hosts many events such as the Frog Follies, an antique car show that is attended by individuals from all parts of the world. Darmstadt is also home to the International World War Peace Tree. The tree is a linden tree and sits on the southwestern edge of town. The tree serves as a reminder of the end of World War I. The tree is about 40 feet tall and is said to be at least 104 years old. Due to the town’s location in the upper-Midwest, winters are usually very cool and summers are usually warm. The months of December, January, and February have daytime temperatures that vary from the low to upper-40s on average. Snow is also very common during these months. Residents of the town should invest in heating systems that are capable of keeping their homes warm during the cooler months of the year. Summers in Darmstadt are usually warm, with daytime temperatures ranging from the upper-80s to low-90s on average. It will be necessary for residents to have their cooling systems inspected by HVAC technicians to ensure they are operating efficiently, especially since record temperatures have reached well into the 100s. Having an efficient cooling system during the summer could literally be a lifesaver.